Today's volunteers look for great experiences and meaningful engagement when they give away their time. So make it clear from the moment you launch your online recruiting campaigns that those are precisely the benefits your volunteers will find. 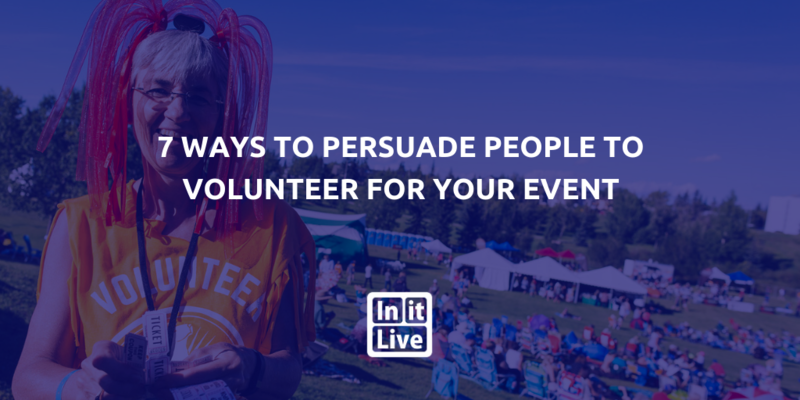 Below we've provided seven specific ways to persuade people to volunteer for your event. And if you follow even some of these suggestions, you'll be able to attract a top-notch pool of highly motivated and dedicated volunteers. Provide inexpensive items for your volunteers to use during the event. Logo-bearing wearables with inspiring slogans, such as tee-shirts, key chains, baseball caps, and phone cases can help identify a fellow volunteer, promote solidarity, and get everybody into the team spirit as they work towards a common goal. Match candidates with roles which suit their interests and skill sets. And during the recruitment phase, be sure to highlight any well-established experts that are donating their time to train or mentor volunteers. In addition, reach out to school departments that have students who are looking to add lines to their resumes. And at the end, give great references to those volunteers who've earned them. Let people know that volunteering with you makes them part of a supportive community. Provide an online discussion forum for volunteers to exchange ideas throughout the event's recruitment, training, execution, and post-evaluation phases. And don't forget to encourage staff and "alumni" volunteers to chime in with online advice. Ensure that every volunteer has the opportunity to socialize with fellow team members and actively contribute to a successful event. And take photos of the best and brightest moments so that your volunteers can share their success stories on social media. Let it be known from the start that your event uses sustainable processes and procedures like recycling and paperless communications. Also, think about ways to part of the event's proceeds to an environmentally friendly cause, and announce that intention during your recruitment campaigns. Design a contest and explain ways to earn points for exceptional volunteer service. Include awards for areas such as outstanding performance, perfect attendance, and multiple years of service. Then, set aside time at the end of the event to recognize your volunteers and announce the winners. Finally, make it part of your event brand to have healthy and delicious meals for volunteers, complete with scheduled breaks so they can enjoy them. Also, during the event keep fresh water and healthy snacks on hand in order to keep energy and comfort levels up. Get the word out with InitLive. 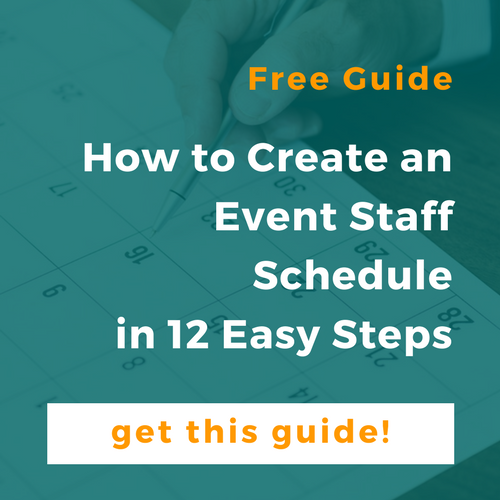 With this all-in-one event management and communication tool, you can let everyone know exactly how volunteering for your event provides fun, food, and memorable experiences which your volunteers will keep coming back for year after year. For more information on creating amazing events through exceptional volunteer management, check out our resource page! Weekly articles giving you all the latest event & volunteer management tips and resources.